Many of the more notable cases involving banks have concerned allegations of mis-selling of financial products by private and retail banks that have worked their way through the courts since the 2008 global financial crisis and have, by and large, now been resolved. The cases have typically addressed the scope of the banks’ duties and the effectiveness of disclaimers in client agreements, often finding in favour of the banks on the basis of their client agreements. In response to these cases, from June 2017, the Securities and Futures Commission (SFC) introduced a mandatory clause in client agreements to make suitability a contractual obligation and prevent any derogation from it. Sections VII and VIII, below, address these cases, while Section IX addresses the SFC’s reaction in its mandatory suitability clause. In mis-selling cases and many other areas of litigation that affect banks, English cases continue to be persuasive authority in Hong Kong, particularly those of the Privy Council and Supreme Court. To the extent that the English Courts are deciding cases that affect banks, including all the recent contract cases, these will continue to be relevant to banks operating in Hong Kong. In some areas, Hong Kong law has not followed English law on questions of law that affect banks. For instance, Hong Kong contract law on penalty clauses has not kept up with English law developments. In a 2016 decision, the Hong Kong Court of Appeal upheld a liquidated damages clause on the basis that it was a ‘genuine pre-estimate of loss’.2 In doing so it upheld the century-old Dunlop test on penalties that was overruled by the Supreme Court in England and Wales in Cavendish in its ‘re-explanation’ of the law on penalties by reference to unconscionability (it was decided between the hearing and handing down of the judgment in Brio by the Hong Kong Court of Appeal).3 Despite this divergence, the Court of Appeal did indicate its support for a broader, commercial approach, which banks entering into commercial contracts in Hong Kong should bear in mind. b the term purports to confer a benefit on the third party, unless on a proper construction of the contract, the term is not intended to be enforceable by the third party. There is therefore a presumption in this case in favour of the third parties having rights. Parties to a contract can expressly exclude the application of the Ordinance in their contracts. To minimise the potential scope for litigation about whether a term falls within the second limb, parties will often consider either expressly conferring rights under the Ordinance, or expressly excluding its operation. Given that the law on third party rights is new to Hong Kong, market practice as between banking, corporate, and debt and equity capital markets transactions still tends to differ in the approach to the application of the Ordinance, particularly relating to indemnities for third parties. Competition law has occasionally been an area of interest for banks in light of the global LIBOR and FX investigations. With the Competition Ordinance that came into force in December 2015, after many years in the making, Hong Kong enacted its first economy-wide competition law. The law prohibits anticompetitive agreements and abuses of substantial market power and brought Hong Kong in line with many developed jurisdictions in the world. In 2015, the Competition Commission published its enforcement and leniency policies and the Competition Tribunal, responsible for adjudicating cases brought by the Commission, established its rules of procedure. The Commission commenced its first two cases in 2017, both of which are set for trial this year. These cases, which concern alleged tender rigging in the IT industry and alleged cartel activity in the construction and engineering sector, will give the Tribunal the opportunity to clarify points of law that are unclear under the Competition Ordinance. The Commission is also expected to revise its enforcement and leniency policies in 2018 and reinvigorate its law enforcement approach with a stronger focus on cartel activity, bolstered by a new budget of HK$200 million granted by the government and new senior management with litigation experience and a background in cartel enforcement. Applications to the Commission for leniency, for decisions on exclusion or exemption or for block exemption orders, are likely to remain a rarity, with only one application for a block exemption order having been made since the enactment of the Competition Ordinance. The Financial Institutions (Resolution) Ordinance and the Financial Institutions (Resolution) (Protected Arrangements) Regulation came into operation in July 2017.4 The Ordinance establishes a regime for the orderly resolution of financial institutions in the banking sector and systemically important financial institutions in the insurance and securities and futures sectors, as well as certain financial market infrastructures in Hong Kong. In addition, the resolution regime seeks to provide the relevant resolution authorities with administrative powers in order to mitigate the risks posed by the non-viability of an in-scope institution to the stability and effective working of Hong Kong’s financial system. Finally, the Apology Ordinance was passed by the Legislative Council in July 2017 and came into force on 1 December 2017. The Ordinance is intended to promote and encourage the making of apologies with a view to facilitating the amicable resolution of disputes. The Ordinance defines an apology broadly, covering expressions of regret, sympathy or benevolence, including an admission of fault or liability. The expression may be oral, written or by conduct. Apologies made on or after the commencement of the Apology Ordinance are deemed inadmissible in determining fault or liability, save in limited circumstances, such as in criminal proceedings. Apologies are also deemed not to void or otherwise affect insurance cover. The Apology Ordinance brings Hong Kong law in line with many other common law jurisdictions and is a welcome development in facilitating the amicable resolution of disputes. Since the Civil Justice Reforms (CJR) were implemented in 2009, modelled in large part on the Civil Procedure Rules introduced by the Woolf reforms in England and Wales in 1999, there has been little material change to court procedure. The objectives of the CJR included promoting greater use of active case management, streamlining civil procedures, expediting the hearing of cases and facilitating early settlement. A committee established by the Chief Justice has continued to monitor the workings of the justice system and make suggestions to the Chief Justice to ensure its smooth operation. When its last report was published in 2017, the average number of days from commencement of an action to trial had followed a rising trend over a cumulative six-year basis. Group litigation orders and multiparty litigation are yet to feature in Hong Kong and are unlikely to affect banks in the near future. The Law Reform Commission of Hong Kong (LRC) published a report in 2012 proposing that a mechanism for class actions be adopted in Hong Kong, starting with consumer cases (tort and contract claims by consumers in relation to goods, services and property). A working group on class actions chaired by the Solicitor General and comprised of representatives of the legal profession, business sectors and government officials was established in 2013 by the Department of Justice to consider the proposals of the LRC and make recommendations to the government. The working group has held over 20 meetings but is still considering the LRC’s recommendations and has not, at the time of publication, drafted a legislative bill for the Hong Kong Legislative Council’s consideration. We await further developments in this area. Third-party funding for litigation remains impermissible in Hong Kong with some limited exceptions, including insolvency proceedings, where liquidators continue to be active in litigation. However, in October 2016, the LRC released its final report, which recommended that the law should be amended to clearly permit third-party funding of arbitration and associated proceedings under the Arbitration Ordinance, with appropriate financial and ethical safeguards in place. The report recommended that the Arbitration Ordinance be amended to disapply the common law principles of maintenance and champerty to third-party funding. It further recommended that consideration be given to disapplying these principles to mediation under the Mediation Ordinance. The Commission felt that permitting such funding was necessary to prevent parties opting for other international arbitration seats and preserve Hong Kong’s standing as a centre of international arbitration. Subsequently, the Arbitration and Mediation Legislation (Third Party Funding) (Amendment Bill) 2016 was passed by the Legislative Council in June 2017, adding a new Part 10A to the Arbitration Ordinance and a new Section 7A to the Mediation Ordinance, to disapply maintenance and champerty to third-party funding in arbitration and mediation (subject to ethical and financial safeguards).The legislation brings Hong Kong in line with England and Wales, Australia and Singapore, among others. The ever growing cross-border business for banks between Hong Kong and China has increased the importance of the collection of evidence for litigation between them. In March 2017, the Arrangement on Mutual Taking of Evidence in Civil and Commercial Matters between the Courts of the Mainland and Hong Kong (the Arrangement) came into force to close the gap caused by the inapplicability of the Hague Evidence Convention between Hong Kong and the mainland as parts of the same country. Under the Arrangement, parties can make letter-of-request applications for evidence through the designated liaison authorities in the Chinese language. The scope of assistance that may be requested by a Hong Kong court and a mainland court differ. While mainland courts can request the Hong Kong courts to examine witnesses, obtain documents, inspect, photograph, preserve, take into custody or detain property, take samples of property and carry out medical examination of a person, the Hong Kong courts can request the mainland courts to obtain statements from parties and testimony from witnesses, provide documentary evidence, real evidence, audiovisual information and electronic data, and conduct site examination and authentication. Of relevance to banks considering cross-border enforcement, the CJR introduced a regime to extend the ability of the courts to grant free-standing interim injunctive relief in support of foreign proceedings, closing a gap left by the Privy Council in 1996.7 Hence, under Section 21M of the High Court Ordinance, the Hong Kong court may grant an injunction or other interim relief in aid of proceedings commenced or to be commenced overseas. In a 2016 case, the Court of Final Appeal clarified the tests to be satisfied in determining an application under Section 21M, where the plaintiff sought to freeze assets in Hong Kong in aid of a judgment in England for breach of exclusive jurisdiction clauses. The Court of Final Appeal held there was no breach of comity in granting a freezing injunction to protect a foreign claim for breach of an exclusive jurisdiction clause.8 In reinstating a freezing injunction granted in support of proceedings in the English court for breach of exclusive jurisdiction clauses, the Court of Final Appeal held that the Court of Appeal had erred in holding that it was necessary to consider whether the plaintiff had a good arguable case in its substantive proceedings under Hong Kong law. Rather, the correct test should be to consider whether the plaintiff has a good arguable case before the foreign court. The Court of Final Appeal also held that there was no bar on the ground of breach of comity, or public policy, to the grant of a freezing injunction to assist in enforcing an award (or potential award) of damages by the English court for breach of an exclusive jurisdiction clause, as the Hong Kong court was not asked to enforce the jurisdiction clause itself, in favour of the English court. This was the case even though the substantive proceedings were conducted before the Hong Kong and English courts in parallel, with conflicting judgments as to jurisdiction. In another case concerning freezing injunctions, in November 2017, the Court of First Instance held that a bank put on notice of a freezing injunction issued over the assets of one of its account holders does not owe a duty of care to the holder of that injunction.9 The court applied the reasoning of the House of Lords decision in Customs and Excise Commissioners v. Barclays Bank plc.10 Master KC Chan held that the bank had not voluntarily assumed a duty of care to the holder of the injunction by having been served the injunction, with no other act or communication between them; the only duty arising out of the injunction was to the court and that the recognition of a duty of care in such circumstances would not be fair, just or reasonable. A bank put on notice of a freezing junction still risks punishment for contempt of court if it breaches its duty to the court to comply with the injunction, particularly if it enables an account holder to breach the terms of the injunction. However, this case offers welcome reassurance to banks as regards their obligations to third parties in dealing with freezing injunctions against their clients. In the field of cross-border enforcement for banks, a decision by the Court of Appeal in 2016 demonstrated the need to act promptly when seeking an anti-suit injunction in relation to proceedings commenced in a foreign court in breach of an agreement to arbitrate.11 The Court of Appeal drew a distinction between forum non conveniens, anti-suit injunctions and contractual anti-suit injunctions, and held that the lower court did not exercise its discretion erroneously by refusing to grant anti-suit relief on the basis of the plaintiff’s deliberate, inordinate and culpable delay. Delay in seeking injunctive relief, therefore, may result in the substantive claim being resolved in foreign courts, in breach of the parties’ arbitration agreement. The Hong Kong courts have not been testing the application of privilege to internal investigations to the same extent as has been the case in England in recent years, where the courts have adopted a restrictive view of the availability of legal professional privilege and litigation privilege in the context of various aspects of internal investigations that may be relevant to banks. While the Hong Kong courts will typically have regard to English law on the availability of privilege, the Court of Appeal has widened the scope of legal advice privilege by deciding in favour of a broader definition of ‘client’ after full consideration of the relevant English law. In a welcome judgment delivered in June 2015, the Court of Appeal took the opportunity to consider and reject the narrow definition of ‘client’ for the purposes of legal advice privilege as laid down by the English Court of Appeal in the Three Rivers (No. 5) case.12 Instead, the Court opted for a more liberal approach, which defines a ‘client’ as simply a corporation and its employees who could be regarded as being authorised to act for the corporation in the process of obtaining legal advice, not being limited to ‘a small group of employees within the legal department of a corporation’. Otherwise, it held that the adoption of a restrictive definition of who constitutes the client would impinge on the ability of corporations to seek and obtain legal advice, as it, ‘might well discourage those defined as the client for the purposes of legal professional privilege from seeking the input or assistance of other employees who might be better qualified or able to provide it’. A claim of legal advice privilege may therefore be made over a wider range of communications between a bank and its legal advisers. As part of its ruling on the ambit of legal advice privilege, the Court of Appeal held that Hong Kong should adopt the ‘dominant purpose’ test as expounded by Tomlinson J in Three Rivers (No. 5) in setting the proper limit for legal advice privilege (i.e., if a document comes into existence as part of the continuum of communications between a lawyer and a client with a dominant purpose of getting legal advice, it should be protected by legal advice privilege). In doing so, the Court of Appeal held that there needed to be a meaningful protection of confidentiality in the process of obtaining legal advice in both the litigious and non-litigious context. The Court of Appeal considered that the dominant purpose test is capable of effectively screening out unmeritorious claims for legal professional privilege. In making its ruling on the application of the dominant purpose test, the Court noted that legal professional privilege is constitutionally entrenched in Hong Kong as a basic right under Article 35 of the Basic Law. Separately, the Court of Appeal confirmed in November 2015 that legal advice privilege does not extend to advice by non-lawyers (e.g., accountants advising on tax law).14 In doing so, it adopted the reasoning of the majority in the UK Supreme Court.15 Although not part of its formal decision, the Court of Appeal noted that privilege, while a substantive and fundamental right under Article 35 of the Basic Law, originates in the public interest and is a facet of the rule of law, which in Hong Kong means that the law of the forum is applied to determine the applicability of privilege to a document or communication (although the Court of Appeal did note that there was some room for flexibility in appropriate cases). For the purposes of banks’ consideration of whether to include state immunity waivers in their contracts, it is noteworthy that the Court of Final Appeal has ruled that absolute immunity from suit applies in Hong Kong, rather than a restrictive immunity that allows exceptions for commercial transactions. China’s policy on state immunity is that of absolute immunity. By a three-to-two majority, the Court of Final Appeal held that Hong Kong cannot, as a matter of legal and constitutional principle, adhere to a doctrine of state immunity that differs from that adopted by China. The Court concluded that states also enjoy absolute immunity in the Hong Kong courts.16 Controversially, as part of its decision, the Court of Final Appeal referred the interpretation of provisions of Hong Kong’s constitution in its Basic Law concerning responsibility for foreign affairs to the Standing Committee of the National People’s Congress (SNPC) in Beijing for interpretation. The SNPC’s interpretation was that the Hong Kong courts must give effect to the doctrine of absolute immunity as promulgated by the Central People’s Government of China. In a separate case, the Hong Kong court held that the Chinese government enjoys crown immunity in Hong Kong.17 Hence, in Hong Kong, if a state-owned entity is controlled by the Chinese government, it will also enjoy crown immunity. The result of the two cases is that sovereign states and the Chinese government both enjoy absolute immunity from suit in Hong Kong. 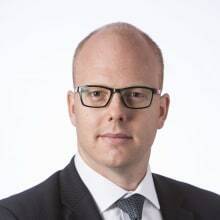 As absolute state immunity can only be waived ‘in the face of the court’ and cannot be waived in pre-dispute contractual documents, any contractual waiver or arbitration clause will not be recognised by the Hong Kong court as an effective waiver of immunity. On the other hand, active participation in the proceedings with knowledge of the right to claim immunity would be sufficient to amount to a waiver. Separately, the Department of Justice released a consultation paper on the 2016 Preliminary Draft Convention on the Recognition and Enforcement of Foreign Judgments, modelled on and complementing the 2005 Hague Convention on Choice of Court Agreements. The Draft Convention sets out the criteria for the courts of one Member State to recognise and enforce judgments in civil and commercial matters rendered by the courts of other Member States. If widely accepted across different jurisdictions, and if Hong Kong becomes a signatory, it would provide judgment creditors with a potentially more popular mechanism for enforcing their judgments outside of Hong Kong, and a regime for judgment creditors to enforce foreign judgments in Hong Kong that do not currently qualify for enforcement under the Foreign Judgments (Reciprocal Enforcement) Ordinance (which currently applies to the judgments of 15 countries: Australia, Austria, Belgium, Bermuda, Brunei, France, Germany, India, Israel, Italy, Malaysia, the Netherlands, New Zealand, Singapore and Sri Lanka – but not the United Kingdom), and China under the Mainland Judgments (Reciprocal Enforcement) Ordinance. Mis-selling claims concerning financial products sold by private and retail banks have been the most notable feature of liability for banks in Hong Kong since the 2008 global financial crisis, although the cases have mostly been resolved. These claims typically raise issues relating to the nature and scope of the duty owed by the bank to its customer, liability for misrepresentation, the ability of claimants to import regulatory suitability provisions from the SFC’s Code of Conduct as implied duties in contract or tort, and contractual disclaimers. In the main, the courts have found in favour of the banks, often because of the strict interpretation of their contractual terms and conditions that allocate the parties’ risks and responsibilities, narrowing the scope of duty or disclaiming responsibility (or both). These decisions have typically not allowed express contractual terms to be interpreted differently through implied terms, introduction of regulatory provisions or tortious duties not otherwise stated in the contract. The courts have given short shrift to various attempts to imply contractual or tortious duties into the clear language of client agreements based on the provisions of the SFC’s suitability requirements in its Code of Conduct. Against more sophisticated individual clients, banks have mostly been successful in relying on the express terms of their client agreements to assert that the account was ‘execution only’. Hence the bank has no duty to advise the client or manage the account, and even if any advice was given the customer was not entitled to rely upon it, regardless of whether the client fully read or understood the client agreements.19 Generally, the courts have been unwilling to find an advisory duty where none was agreed. Perhaps unsurprisingly, the banks have generally been successful in relying on the principle of contractual estoppel by pointing to the risk disclaimers often found in account agreements. The language of these risk disclaimers would usually contain clauses confirming that no advisory duty is owed, the client places no reliance on the bank, and that his or her investment decisions were his or her own and that he or she accepted and understood the risks attached. Even if misrepresentations had been made by the bank’s representatives to the client regarding the essential features of the financial product involved, the principle of contractual estoppel prevents clients from successfully asserting that he or she relied on any representations made, and that he or she made independent decisions in deciding to invest, and accepted and understood the risks attached to the investment. In these mis-selling claims the courts have generally followed Springwell28 in upholding the express contractual terms as the basis for determining the rights and obligations between the client and the bank. Under the Control of Exemption Clauses Ordinance, exemption clauses are subject to the test of reasonableness. The relevant line of authorities29 also determined that a clause can only be categorised as an exemption or exclusion clause if it has the effect of limiting liability for obligations that have been expressly promised or offered. However, standard terms setting out the role of the bank and the scope of the services the bank contracted to provide were not exclusion clauses at all, despite language such as ‘the bank assumes no responsibility’ or ‘the bank shall have no liability’, because they typically prescribe the scope of the duty, rather than seek to exclude it. The various contractual terms defining the nature and scope of the services that the bank contracted to provide were also held not to be exclusion clauses that would be subject to the Control of Exemption Clauses Ordinance in San-Hot.30 In another case, a client was introduced to a Madoff fund by the bank.31 The court held that the misrepresentation claim was made out, the contractual estoppel defence failed and the bank’s risk disclosure statement failed to satisfy the requirement of reasonableness under the Control of Exemption Clauses Ordinance. However, the court held that the bank could not have reasonably detected the fraud and therefore the client’s case failed. On the other hand, in an exceptional case where the courts found against the bank, the relevant contractual terms were unclear, resulting in the bank being held to have breached its contractual duty to advise in a case where the clients were an elderly couple with modest backgrounds and little understanding of investment products.32 Once the bank’s advisory role had been established, and in the absence of an express scope of the bank’s duty to provide advice, the court held that there was an implied duty to exercise reasonable care and skill in the performance of that advisory role. This meant that the adviser had to exercise reasonable care and skill with regard to the investors’ investment objectives and risk appetite, must offer products that are suitable to those investment objectives and risk appetite, and warn the investors of the risks inherent in the investment. The court held that the bank failed to do so in that case, and went on to say that if it was wrong and the banking relationship between the parties was actually ‘execution only’ then the bank would have succeeded in its defence of contractual estoppel based on the contractual documentation. If we [the intermediary] solicit the sale of or recommend any financial product to you [the client], the financial product must be reasonably suitable for you having regard to your financial situation, investment experience and investment objectives. No other provision of this agreement or any other document we may ask you to sign and no statement we may ask you to make derogates from this clause. Further, the inclusion of clauses that are inconsistent with the Code of Conduct, or that misdescribe the actual services provided to clients in a client agreement or any other document signed or statement made by the client, are prohibited. The ‘no derogation’ clause must be included in all client agreements unless no client agreement is required because the client qualifies as an institutional professional investor or a qualified corporate professional investor. Hence, the clause is always required when dealing with individuals, or when dealing with corporate professional investors who do not meet the investor knowledge and experience assessment requirements under the Code of Conduct. Thus, suitability requirements have become non-derogable contractual terms in agreements with investor clients. At some point, the SFC’s ‘no derogation’ clause will be tested in future mis-selling litigation by private and retail bank customers. While there remains an absence of class actions and group litigation orders, and risk is booked to their London or New York affiliates by Hong Kong banks, it is likely to remain the case that there is less institutional litigation involving banks. What the future of class actions and group litigation orders in Hong Kong and the growth of Chinese banks in Hong Kong will mean remains to be seen. 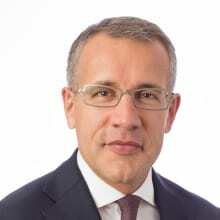 1 Gavin Lewis is a partner and Steven Pettigrove is a managing associate at Linklaters. 2 Brio Electronic Commerce Limited v. Tradelink Electronic Commerce Limited  2 HKLRD 1449. 3 Cavendish Square Holding VB v. Talal El Makadesi; ParkingEye Limited v. Beavis  UKSC 67. 4 Except Part 8, Section 192 and Division 10 of Part 15. 5 Practice Direction SL 1.2. 6 Chinacast Education Corp & Ors v. Chan Tze Ngon  5 HKC 277, applying the practice direction before it was implemented. 7 Mercedes Benz AG v. Leiduck  AC 284. 8 Compania Sud Americana de Vapores SA v. Hin-Pro International Logistics Limited (2016) 19 HKCFAR 586. 9 Grasberg Capital Asia Limited v. Bank of Communications Limited  6 HKC 256. 11 Sea Powerful II Special Maritime Enterprises (ENE) v. Bank of China Ltd  3 HKLRD 352, upholding the Court of First Instance decision ( 1 HKLRD 1032). 12 Citic Pacific Limited v. Secretary for Justice (No. 2)  4 HKLRD 20. 14 Super Worth International Ltd & Ors v. Commissioner of the ICAC & Secretary for Justice  1 HKLRD 281. 15 R (on the application of Prudential plc and another) v. Special Commissioner of Income Tax and anor  UKSC 1. 16 FG Hemisphere Associates LLC v. Democratic Republic of the Congo & Ors (2011) 14 HKCFAR 95. 17 Intraline Resources Sdn Bhd v. The Owners of the Ship or Vessel ‘Hua Tian Long’  3 HKLRD 611. 18 TNB Fuel Services Sdn Bhd v. China National Coal Group Corporation  HKEC 1184. 19 Kwok Wai Hing Selina v. HSBC Private Bank (Suisse) SA  4 HKC 260; DBS Bank (Hong Kong Limited) v. San-Hot HK Industrial Company Limited and Hao Ting  HKEC 352; DBS Bank (Hong Kong) Ltd v. Sit Pan Jit  HKEC 548,  HKEC 1307. 20 Known in the local market colloquially as ‘I’ll kill you laters’. 21 JPMorgan Chase Bank & Ors v. Springwell Navigation Corp  EWCA Civ 1221, which held that the principle of contractual estoppel will uphold the bank’s terms and conditions to prevent allegations of misrepresentation or setting up of an advisory duty. 22 DBS Bank (Hong Kong Limited) v. San-Hot HK Industrial Company Limited and Hao Ting (see footnote 19, above); DBS Bank (Hong Kong) Ltd v. Sit Pan Jit (see footnote 19, above). 23 Chang Pui Yin v. Bank of Singapore Ltd  HKEC 1493. 24 Li Kwok Heem John v. Standard Chartered International (USA) Ltd  HKEC 7. 25 DBS Bank (Hong Kong Limited) v. San-Hot HK Industrial Company Limited and Hao Ting (see footnote 19, above); DBS Bank (Hong Kong) Ltd v. Sit Pan Jit (see footnote 19, above). 26 Interfoto Picture Library Ltd v. Stiletto Visual Programmes Ltd  1 QB 433. 27 DBS Bank (Hong Kong Limited) v. San-Hot HK Industrial Company Limited and Hao Ting  (see footnote 19, above); DBS Bank (Hong Kong) Ltd v. Sit Pan Jit (see footnote 19, above). 28 JPMorgan Chase Bank v. Spingwell Navigation (see footnote 21, above). 29 Kwok Wai Hing Selina v. HSBC Private Bank (Suisse) SA (see footnote 19, above); DBS Bank (Hong Kong Limited) v. San-Hot HK Industrial Company Limited and Hao Ting (see footnote 19, above); DBS Bank (Hong Kong) Ltd v. Sit Pan Jit (see footnote 19, above). 30 DBS Bank (Hong Kong Limited) v. San-Hot HK Industrial Company Limited and Hao Ting (see footnote 19, above). 31 Li Kwok Heem John v. Standard Chartered International (USA) Ltd (see footnote 24, above). 32 Chang Pui Yin v. Bank of Singapore Ltd HCCL 12/2013  (see footnote 23, above). The global economic upswing, which began in 2016, continues to strengthen with global GDP growth reaching 3.9 per cent in the second quarter of 2018 and expected to increase further in the second half of 2018. World trade growth accelerated by 4.7 per cent in 2017, following trade growth of only 1.8 per cent in 2016. This is largely driven by cyclical improvements and an increase in investment growth in developed economies. Islamic finance has grown rapidly during the past 20 years, in market participants, structuring expertise and transaction types. The chapters in this book illustrate the dynamic manner in which Islamic finance has adapted and continues to develop globally. Although each country will have variations, one of the most striking features of Islamic finance as a legal discipline is that it includes core concepts and structures that cross jurisdictional boundaries. While there have been ups and downs, of course, for leveraged finance over the last 40 years (most notably during the financial crisis), leveraged finance used to support acquisitions has become a very big business and is almost certainly here to stay (and probably grow). 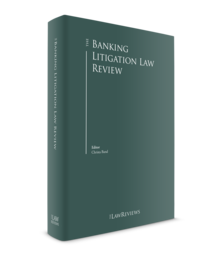 This volume is intended to contribute to the knowledge base of lawyers who participate, or aspire to participate, in leveraged finance used for acquisitions. It will hopefully provide an overview and introduction for the novice and be a ready resource for an active practitioner who needs to know about relevant laws and practices in jurisdictions around the world. This book serves two purposes, one obvious, but the other possibly less so. Quite obviously, and one reason for its continuing popularity, The International Capital Markets Review addresses the comparative law aspect of our readers’ international capital markets (ICM) workload and equips them with a comparative law reference source. Globalisation and technological change mean that the transactional practice of a capital markets lawyer, wherever based, no longer enjoys the luxury, if ever it did, of focusing solely at home within the confines of a single jurisdiction. Globalisation means that fewer and fewer opportunities or challenges are truly local, and technology more and more permits a practitioner to tackle international issues. Transfer pricing rules are, of course, a central plank in governments' fight against profit shifting, and the application and evolution of these rules will (rightly) continue to be high up the corporate tax agenda for many years to come. The Transport Finance Law Review is intended to provide the industry with a guide to transport finance today, in each of the key jurisdictions globally in which aircraft, rolling stock and ships are financed. This fourth edition of The Lending and Secured Finance Review contains contributions from leading practitioners in 25 different countries, and I would like to thank each of the contributors for taking the time to share their expertise on the developments in the corporate lending and secured finance markets in their respective jurisdictions and on the challenges and opportunities facing market participants.